« Pressure recovery phenomenon : A brief attempt to understand it ! Cath lab tips : Post dilatation is an unique “Art” . . . can’t learn it from textbooks or workshops ! In the modern era of cardiology, PCI has become the single therapeutic modality that determines the survival of both cardiologists and possibly their patients! The procedure is all about launching a metal coil inside the coronary artery of a live beating heart. Millions of diseased and (not much) diseased coronary arteries are serviced (either re/deconstructed ) world-wide on a day-to-day basis.The benefits of the modality is directly related to the wisdom of treating cardiologist and patient’s luck than the original severity of the disease. However, with greatly improved coronary metallurgy , well assisted by drug coating technology and antiplatelet Industry , cardiac physicians believe they have reached the zenith of this procedure. 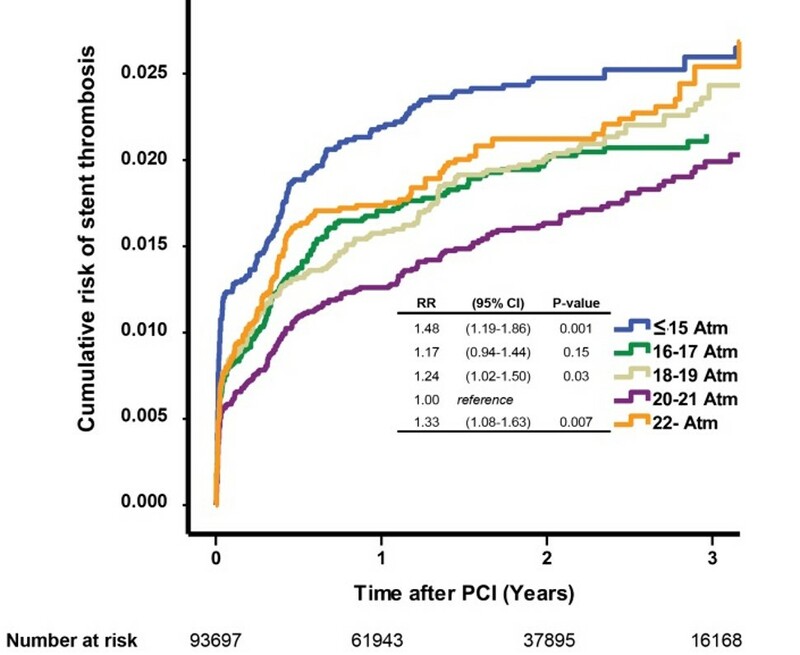 But the truth is , PCI still has many lingering issues regarding safety , efficacy and cost effectiveness.Early hazard in the form of acute stent thrombosis and sudden death is a reality. Blaming it on patients and their lesions ( condition of blood , gene included) , metal behavior is easy , but, wrong selection (Ignoring the option of CABG) and technical inadequacy of the procedure in the setting of complex vessel wall disease (Hard calcium , deep tunnels , fissures , dead spaces ) is a major cause for concern. Lesion preparation , pre/per-dilatation /POTS , etc by itself a big topic (which is not discussed here) Post dilatation after direct stenting is much more vital concept that determines not only the immediate but also the , Intermediate and long-term outcome. Is routine post dilatation harmful ? or beneficial ? What balloon pressure one should post dilate ? At what compliance ? What is the Inflation time ? It’s akin to asking a musician how to play a piano with fingers or guitar with various strings ! The effect of balloon pressures in the long term outcome. note both low and high pressure dilatation ( blue and orange worms ) hike the risk of restenosis. Too gentle is as dangerous as too harsh making post dilatation a secret and unique art. Physics of post-dilatation . . . again more questions ! Is there a role for compliant balloons ? Does the compliance of balloon gets altered with hard lesions? Is regional compliance matters ? Can balloon exert same radial pressure all 360 degrees ? Is selective high pressure inflations over a particular struts possible ? As of now , it would be challenging ,( if not outright impossible) . Let us realise with all our intellect, complex PCI as a whole is taking an uncalculated risk and leave the rest to GOD and DAPT ! In an elegant study of more than 90000 PCIs from Sweden and Holland (Ref : Fröbert O, PLoS ONE. 2013 ) found routine post-dilatation pushes the harm curve little more than benefit. The was more with both low and very high pressures . Estimated cumulative event rates of stent thrombosis (Panel A) Restenosis (Panel B ) Cumulative death (Panel C) in relation to post-dilatation .Note the height of coronary Irony, Post dilatation Increase stent thrombosis and restenosis but saves life too ! IVUS, OCT has been extensively used in recent times to diagnose suboptimal deployment and to asses lesion morphology.Though they are expected to improve the quality of angioplasty and hence the outcome , the real world scenario is not really confirming our expectations. Is the Self expanding stent is the answer ? The conundrum of post dilatation might be cracked if the built-in radial force of self expanding stents is optimally utilised .This could be useful in some tricky lesions when the vessel goes for progressive Glagovian remodeling post PCI. The self expanding stent because of the stored potential energy keep hugging the vessel wall as it expands centrifugally. Post dilatation is neither a mandatory nor a sacred protocol in cath lab. However , it would seem bulk of PCI’s still will require it . Its done judiciously with reference to clinical setting, (ACS vs CCS) , type and location of lesion , stent characteristics etc .Most Importantly , the experience of the cardiologists counts ,and he or she will decide when, where, how much of post dilatation is required (or not required) . Please remember , PCI as a whole (more so the Pre/ Post dilatation !) is an art by itself. It’s never learnt in text books or even watching live work shops. Every young Cardiologists are enouraged to master the art of PCI , with a huge caveat . Always ensure patient’s Interest are placed first in every step forward. If you are not clear in comphrehending “What is meant by true patient’s Interest ? never Indulge in the procedure or call your mentor , if you have one ! 1.Brodie BR1, Cooper C, Jones MCatheter Cardiovasc Interv. 2003 Jun;59(2):184-92. Is adjunctive balloon postdilatation necessary after coronary stent deployment? Final results from the POSTIT trial. Postdilatation Clinical Compartative Study (POSTIT) Investigators. 3.Zhang Z-J, Marroquin OC, Stone RA, et al. Differential effects of post-dilation after stent deployment in patients presenting with and without acute myocardial infarction. American heart journal. 2010;160(5):979-986.e1. doi:10.1016/j.ahj.2010.07.007. Sir ! Which strategy is better. Choosing an appropriate sized stent and deploying it at nominat pressures or Choosing an undersized stent and optimizing it with a bigger NC baloon ?